Growing up, we were too poor to ever get Pudding Pops. Mom bought them once or twice on special occasions. It was one of those foods I swore I'd buy all the time when I was the grown up. Of course we can't ever find them in stores now. 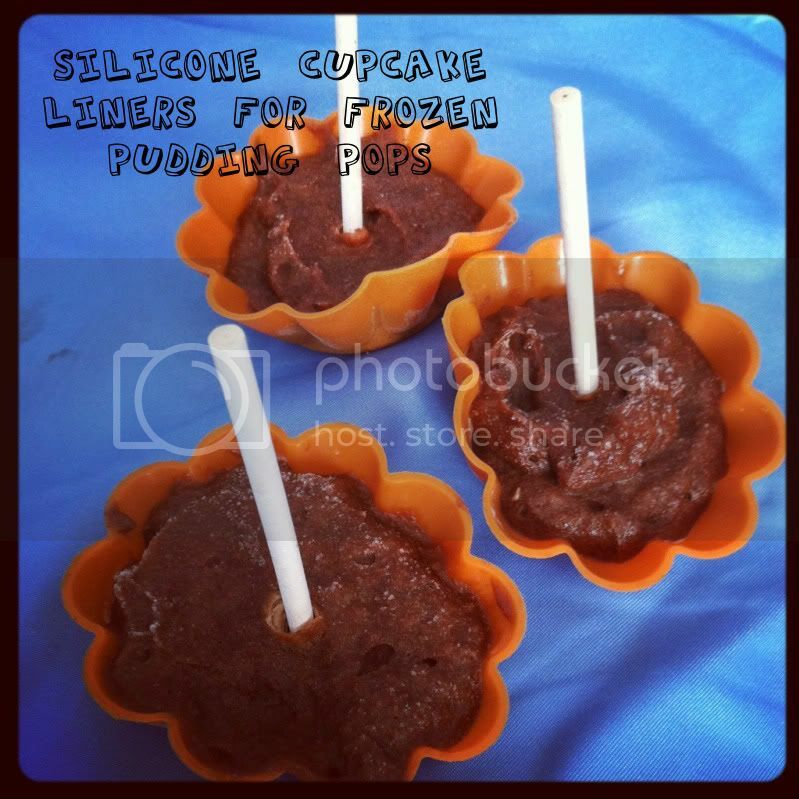 There are lots of recipes out there for doing them in tiny little cups with a Popsicle stick. Naturally, I don't have any of those things around. And if my kids had to wait for me to remember to buy those things? Forget it! I saw a few recipes showing them in ice cube trays. I never had success with those and keeping the ice cube trays in one piece. What do I have lying around to make this work? Silicon cupcake liners and cake pop sticks! It's perfect because not only are the silicone cupcake liners reusable, but they came in fun shapes you can't get with those tiny cups. Just pop half of a cake pop stick (or a craft stick if you have them around) in them about an hour into the freezing process and enjoy!